ZAINUDIN, Mohd Azizi and ABGHONI, Nurulaidal Binti (2018) Islamic literacy camp. Paper presented at: IFLA WLIC 2018 – Kuala Lumpur, Malaysia – Transform Libraries, Transform Societies in Session 153 - Poster Session. 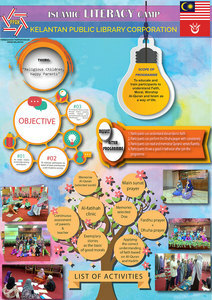 This paper describe about the Islamic Literacy Camp that has been conducted by Kelantan Public Library Malaysia. 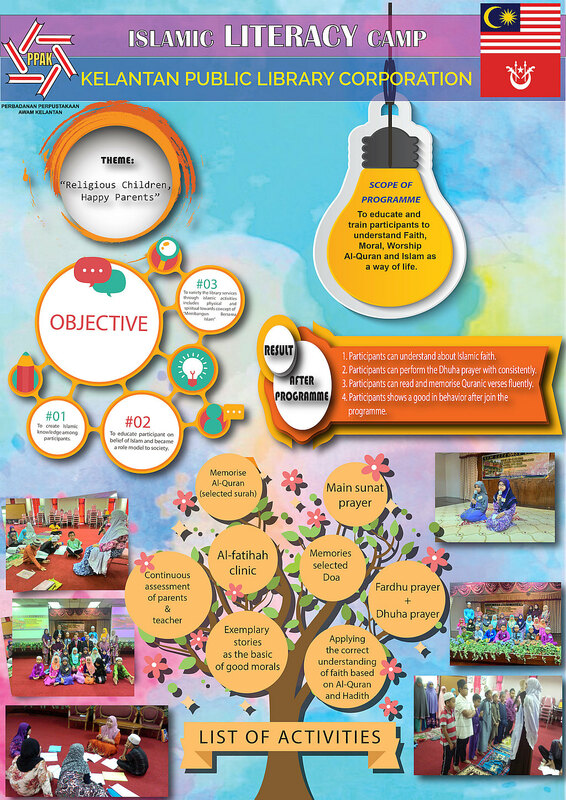 This Program are create to educated children from primary school to understand and practices the Islamic spirit that could become a role model in the society. From this program we could create variety of service in the library and change the view of people think about library. Before this, people just look library as place to read the book but through this program the people start change their perception and look the library as the place that could do more than read the book. Library has create the module for this program that suitable with Islam religion and suitable to student level. We hope from this program library can help people to create culture that has good attitude that follow the Islamic way.